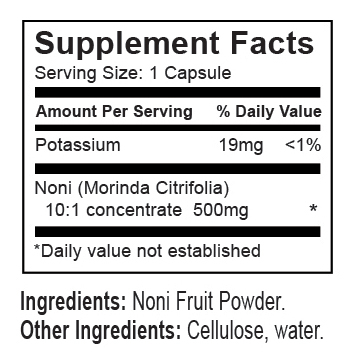 We put all the health benefits of our famous Noni juice into a convenient capsule. This is 100% pure, whole fruit Noni juice with only the water removed. It's just the same as juice, only without the water! Take it with you wherever you go—work, vacation, business trips, weekend getaways. Maintain your health while you are on the go! Noni has a long history of use (2,000 years) and has been researched extensively by scientists. Noni capsules are so effective, the U.S. Government is conducting a study on them. Ingredients: 100% Noni fruit juice powder. Noni is a tropical fruit with many medicinal properties. 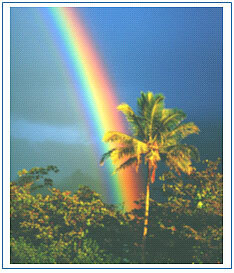 It is found mainly in tropical Pacific islands, and has been used for centuries by native islanders as their most important health remedy. The prized Noni fruit contains beneficial enzymes, alkaloids and other compounds that have been shown to stimulate the immune system and aid in cellular regeneration. 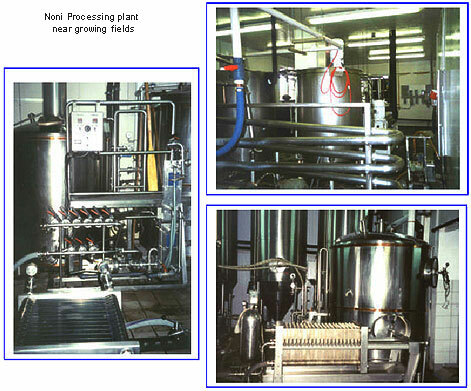 How is Earth's Bounty Noni processed? As a tropical fruit, Noni is very "volatile" - the clock is ticking as soon as it is ripe and picked. Other manufacturers may air- or sun-dry the fruit after it is picked. This can create unwanted bacteria and loss of potency, which is sometimes counteracted by irradiation or fumigation with deadly chemicals. 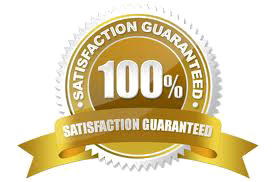 Earth's Bounty Noni is picked at optimum ripeness and processed to USA health guidelines to ensure maximum freshness and potency of all the beneficial enzymes and phytonutrients. 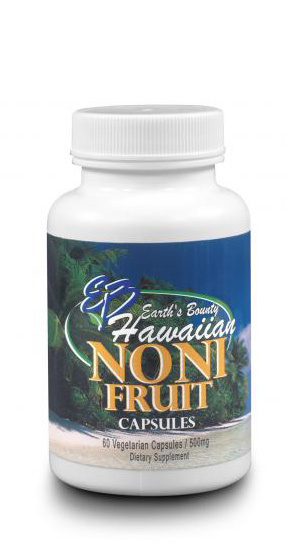 Earth's Bounty Noni is never irradiated or fumigated. Yes. 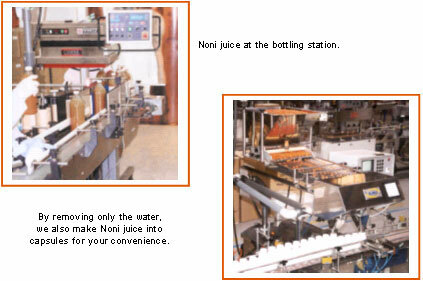 Our capsules are 100% pure Noni juice, with only the water removed. Once taken, capsules become mixed with fluids during digestion. One capsule is equal to 1/2 ounce of juice and yields similar results. Noni capsules are so effective, the U.S. Government is conducting a study on them.